Vancouver based experimental sound artist Gabriel Saloman and San Francisco art collaborative Common Eider King Eider will be embarking on a 5 week tour of Europe beginning May 27, 2016. GABRIEL SALOMAN is a Vancouver-based musician and artist. Saloman has been performing experimental, conceptual and freely improvised music for over 15 years. He is known for his work as half of Portland based noise group Yellow Swans. He currently performs solo under his own name and has recently released records with Miasmah (GR), Shelter Press (FR), Infinite Greyscale (GR) and Beacon Sound (US). His work is haunting and deeply emotive, sitting between genres and drawing on cinematic and viscerally live qualities. COMMON EIDER KING EIDER is an evolving art and music collaboration between Rob Fisk (Badgerlore, ex-Deerhoof, and Six Organs of Admittance/Hexadic collaborator), Vicky Fong, Andee Connors (A Minor Forest), Andrew Weathers and Blaine Todd. A potent mix of blackened ambience, drone and silence incorporating viola, vast chorale arrangements, and field recordings. 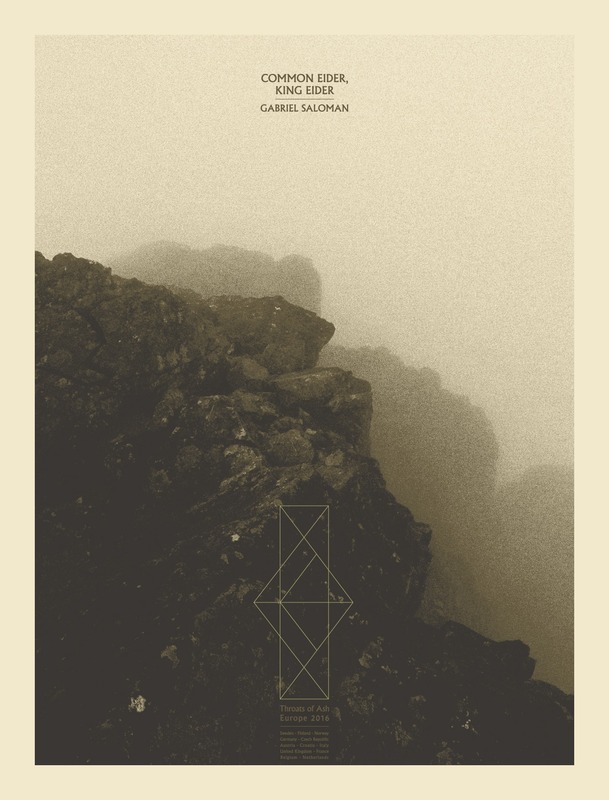 Labels representing CEKE since their inception in 2007 include Pesanta Urfolk, Black Horizons, Root Strata, Sol y Nieve, and their own imprint Caribou People. Terrifying, beautiful, spare, the sound of light nullified- and at the same time a celebration of the power and beauty of the sun. Gabriel Saloman & Common Eider King Eider have produced a collaboration album, A Prayer for Ice, specially for tour. A Prayer for Ice features four tracks on cassette with free download, wrapped in hand printed fabric designed by artist Aja Rose Bond. The artwork unfolds into a mini-alter intended to aid meditation, prayer and spells combating ecocide. These cassettes will be a limited edition of 100 copies.